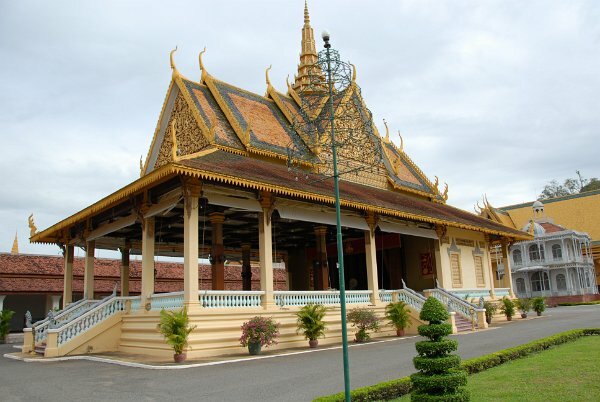 The Royal Palace in Phnom Penh, Cambodia, is a complex of buildings which serves as the royal residence of the king of Cambodia. Its full name in the Khmer language is Preah Barum Reachea Veang Chaktomuk. The Kings of Cambodia have occupied it since it was built in 1860's, with a period of absence when the country came into turmoil during and after the reign of the Khmer Rouge.